A complex and unfamiliar world has just been forced upon you by the negligence of someone else in an auto accident. Rest assured in the knowledge that you have an experienced specialist on your side. 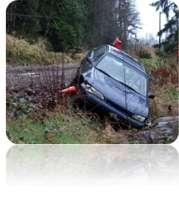 I only represent clients who sustain injuries in a vehicle accident. Please take the time to give me a call today for your free consultation and case evaluation. I do not get paid unless I get you money. I represent individuals and families from all parts of the State of Oregon, and people from other states and countries that have been injured by a car, motorcycle, or bicycle accident in the State of Oregon. If you have any questions do not hesitate to contact my offices so I can provide you with the legal representation you deserve.